I am really enjoying sitting in the pasture and watching the chickens. It’s amazing just how relaxing it is. I bought a $17 plastic adirondack chair that I have sitting by the coop just so when I go I can easily sit for a moment. It’s a nice quiet break. I was thinking while I was sitting there the other day about how great it was that I was already collecting eggs fairly regularly despite my lack of knowledge or experience with chickens. As I watched them scratching around being chickens it occurred to me that chickens do what chickens do. They scratch, they eat (constantly) and they lay eggs. They do what God created them to do. All you have to do is keep their area clean, feed them well, and get out of the way. People are like that too. People do what God designed them to do if you just get out of their way. Sure, give them the conditions they need to thrive. Keep their soil moist. Feed them well. Then just get out of the way. On the other side of the coin, it’s very hard to make someone be what they aren’t. Like trying to grow tomatoes Alaska. We lived in Alaska for 10 years while I was growing up. For years my Dad tried to grow tomatoes. It just doesn’t get hot enough for tomatoes in Anchorage. Cabbage, on the other hand, thrives there. You can’t make something consistently perform in a manner inconsistent with how they are put together. Tomatoes need some heat. No matter how fertile you make the soil, it won’t make up for the cool temperatures. People are made how they’re made. So are plants, and so are animals. Do you agree? What conditions do you need to thrive? Do you remember a time you tried to force something or someone to perform in conditions they weren’t made for? How’d that go? I have wanted backyard chickens in the worst way, for the longest time. It took a while for my husband to get on board. He associated chickens with the not-so-good part of town in his hometown in rural Alabama. Finally, in 2015 we decided to sell our house that we had purchased near our kids school and move to a suburb further out of town. He really wanted a house with a media room, and I really wanted a house where I could have a flock of backyard chickens. I researched the city ordinances of all of the surrounding suburbs and could quote them to you on demand. As we looked, we ran into another road block. Most of the newer homes and all of the newly built homes were part of a homeowners association. The home we were selling was not part of one, although we had been in one in the house before that. I swore that I would never own a home in an HOA ever again. I felt like they were just too nosy and obtrusive. Standard language in every HOA covenant I’ve ever seen is an exclusion of backyard chickens The longer we looked, the more we just didn’t like anything but a newly built home. Even if we didn’t choose the floors, countertops and whatnot in the new house, we strongly felt that we wanted to buy new construction. Finally, I conceded that we could buy a new house (HOA and all) and that I would work toward convincing the HOA to allow me to have backyard chickens. Our new backyard is just perfect for my gardens and I chose exactly where I would put my chickens. As soon as we got settled in, I started attending HOA meetings whenever I was in town so that the board would become familiar with me. After a couple of years I brought up the subject of backyard chickens. The board was very friendly and open to my ideas. I worked with them for several months and finally, it came down to the reality that, in order to change the rules, 75% of homeowners our HOA would have to vote in favor of the change. The fact of the matter is that 75% of a couple of thousand homeowners who purchased high end homes inside of a homeowners association would never in a million years vote in favor of allowing backyard chickens. After that meeting, I texted my family and let them know what had happened and that I was very sad and didn’t want to talk to anyone when I got home. My husband sweetly asked if we needed to prepare to put our house on the market and start looking for one outside of an HOA. The next morning as I was preparing for work, I ran various scenarios through my mind. I had daydreamed for a while about the possibility of buying a small tract of rural property in our county and putting a tiny home on it where I could retreat on the weekends and indulge my homesteading tendencies. Since the chickens would require more care than just on the weekends, that just wasn’t practical. Besides that, who spends that much money for the main purpose of having backyard chickens? I live in an area that really was rural not so long ago, so there are places around our subdivision that are undeveloped and not in an HOA. I pondered the possibility of buying one of those lots to put chickens on. Again, who does that? That’s a ridiculous expense. As I continued to prepare for work, I felt a gentle nudge in my heart. “What if you put chickens at the food pantry?” Our life group recently volunteered to do some spring cleaning such as defrosting and cleaning freezers there. “Hmmmmm, I thought. That’s possible”. I knew that they had recently been awarded a grant by Home Depot to install twenty raised bed garden plots. So I knew they were interested in food production. At every stoplight on the way to work that morning I was looking up chicken laws in the town where the food pantry is located. They were even more liberal than in the city where I live. I called them when I arrived at work and explained the whole situation of my years long desire for chickens and how I had been shut down at every turn and how that morning I had felt a nudge that I should have a flock there. The executive director said to me, “You’re never going to believe this”. “Try me” I said. So, it was a match made in heaven. As of the date of this writing I am still waiting for the board to approve our chicken endeavor. I really do believe it will move forward and am just waiting for the final word. Postscript: I heard today that the board of the food pantry has decided against having a flock of chickens. The next chapter in my homesteading story has to do with bees. Stay tuned. 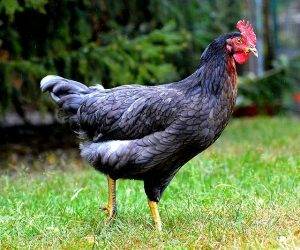 Is it possible to overcome an HOA and have backyard chickens? Currently, the city in which I live allows backyard chickens, but my Homeowners Association does not. I am endeavoring to change that. Phase one of my plan was attending board meetings whenever I was in town so that my face would become known. Phase two is to actually make a presentation to the board. Here are some points that I will be making in that presentation. What do Martha Stewart, Russell Crowe, Jennifer Aniston and Julia Roberts have in common? They all are a part of one of the smartest trends going, in that they all have backyard chickens. When our original HOA guidelines were written, which as far as I can tell was in the early 70s (correct me if I’m wrong) I’m sure that Article 8, Section 6 which refers to poultry, was standard boilerplate language added to every neighborhood without really thinking it through. Plus, backyard chickens in residential areas weren’t really a “thing”, but now they are. And, they’re a good thing. 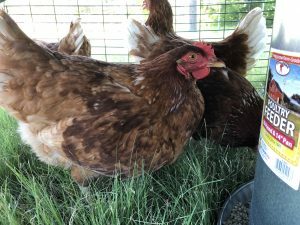 The City of Austin is giving residents classes on keeping chickens and will reimburse $75 per household for backyard chickens. This is a step toward their “Zero Waste” initiative. SB 1620 passed the Texas Senate in the 2017 legislature which would have made it illegal to restrict backyard chickens to fewer than 6. The bill didn’t get to be voted on by the House of Representatives before the end of session, but I’m sure it will come up again. Besides the well known nutritional advantage that backyard chicken eggs have vs even the most expensive store bought eggs, Chickens also reduce pests, household waste and improve the fertility of soil. A well kept backyard chicken coop will never have an offensive odor. As far as noise, laying hens — at their loudest — have about the same decibel level as human conversation (60 to 70 decibels). Hens are so quiet that there have been cases of family flocks being kept for years without the next door neighbors even knowing it. Roosters are not a part of a Backyard Chicken flock and are not allowed by (City) Code of Ordinance. Don’t we want (neighborhood) to be known as a progressive, forward thinking neighborhood? Isn’t that the kind of place where we want to live? I think so. I would therefore like to propose that I be allowed to be a trial for (my neighborhood) in keeping backyard chickens. I would love to hear your thoughts, ideas and experience in the comments.